Search engines love content; in fact Google has been quite forthcoming over the years that their algorithms target content as one of the ranking criteria for the search results. But you have to be smart about it for it to work. Make sure it is original. Google penalizes you heavily if you use content that is on other sites. Make sure your content is either totally new or is rewritten if using content from elsewhere. Use keywords, but don’t cram them in. Keywords are important in your content, but there is definitely such a thing as too much. Try to use your keywords a couple of times each throughout your page, with at least once being in the first paragraph. Content is for people too. There are a few sites you come across that just don’t make sense with their content. Make sure yours is readable and interesting for your visitors. Use images with title tags to break the content. Google images are another area of search engine optimisation that should not be neglected. Create content regularly. The more regularly content is added to your site, the more often Google will come and look at it. Try to keep your personality in the content. People visit your site not only to find out about your products and services, but also to find out what you are like. Try to schedule some time to write at least one quality piece of content for your website each week. The main consideration is that it has information or news that visitors to your site will be interested in and will read entirely. Find the best keywords for usse with your conent, SEO and PPC campaigns. Keyword Elite Software can help you find keywords that not only send visitors to your page, but can also make sure they are visitors who buy. 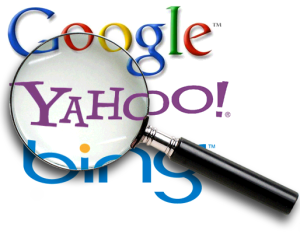 Get the Best Keyword Tool today. Key essentials for SEO, Ian. Thanks for reminding us that original and personality laden content is as important as the online optimization. The originality of content was debated when LinkedIn introduced Publisher and the general opinion that I picked up was that if we wanted to share our content on LinkedIn as well as our blog, it was better to publish it on the blog, and then republish on LinkedIn after a few days with attribution to the original post. I’d love to hear your opinion on that. Absolutely Vatsala, that is the ideal way to do it. If you use attribution on the LinkedIn publication then it will negate the possible duplicate content issue and add more weight to your original article. I recently wanted to post a guest bloggers article but our coach said no. It had to be original because google will not recognize it. Took me awhile to understand & it is one of those SEO things that seems mysterious until you get it. Yes Roslyn, it can be a problem unless you use the technique discussed in Vatsala’s comment below. Thank you for the reminder. I haven’t been blogging lately due to personal reasons. I’m trying to get my mojo back and this is a great reminder of what I need to do. Hi Heather, glad you commented. It can be hard to be consistent with blogging when personal issues arise, some things tend to take a back seat. However one of the best things about the whole blogging process is the fact that once you resume it does not take long to get back on track. Looking forward to seeing your new content when you get back into the swing of things. Awesome post Ian thank you for sharing 🙂 Always important to know how to use content for the best SEO ranking!! Thank you for the comment Joan. Content for SEO is an important online building tool and can have ongoing effects well into the future. Great tips Ian! Originality is important. I didn’t know that it affects on search engine, so it was great to know that. Also, I believe that showing personality in the content is essential too. Thank you for your tips! Hi Kaz, putting your own personality into original content can really make a big difference both with SEO and with your readership.